When the camera panned over to Mats Gren on the evening of 1 October 2018 at the Tele2 Arena in Stockholm, IFK Gothenburg’s sporting director held a solid and steely gaze. His eyes were transfixed almost forebodingly on the pitch. Gren’s side were 3-0 down after 79 minutes to Hammarby, making it three losses in a row. The team from Sweden’s west coast had failed to win in six. Even worse, they’d only managed seven league wins in 24 matches so far that season. The club were in freefall. With the Allsvenskan season drawing to a close, they found themselves unwittingly embroiled in a relegation battle. IFK’s 10th-place finish the season before was its worst league position in 15 years, and it looked like it was going to get a whole lot worse. Gren needed to spring into action, yet he was nowhere to be found. It later transpired that following the defeat against Hammarby, IFK Gothenburg’s sporting director decided it was the perfect time to go on holiday to Hawaii, just as the club were nearing arguably their most crucial period in a generation. They were facing the unthinkable, they were facing relegation. It was the final straw that led to Gren’s dismissal, and it capped off a reign punctuated by fractious relationships, mismanaged finances, severe drops in results, and the exits of key players for little to no return. It all needs to be put into context. IFK Gothenburg are one of the most successful and prestigious teams in the history of Swedish football. They have a collective 13 Swedish league titles to their name as well as seven Swedish Cups. They are the only Scandinavian team to have won a European honour, with two UEFA Cup victories in the 1980s. Gothenburg have, over their 104-year history, become a household name at home and abroad. First rising to be the preeminent club in their own city, then to prominence on a national level, before finally embarking boldly on to the European stage. But it wasn’t always like this. The first team to lead the line in Sweden’s second city were actually Örgryte, who became the first Swedish Champions in 1896. They sealed their early dominance with successive titles in the following three years. Örgryte would tussle with the boys from the capital, Stockholm’s most successful side, AIK, but would return to dominate for much of the 1910s. In the midst of Örgryte’s success, another team was coming to life in Gothenburg, and in October 1904, after a meeting at Café Olivedal on the edge of the city’s western suburbs, IFK Gothenburg was born. The city’s thirst for football was absolute, and Örgryte paved the way for the obsession that has gripped the city since. The problem was that Örgryte were the team of the middle class, in a city dominated by the docks and industrial warehouses. Gothenburg is a working-class city and always has been. Almost overnight, IFK were to become the representatives of the dominant social stratum. It didn’t take long for them to rise to prominence, winning their first national championship in 1908, just four years after their inception. Led by the club’s first star Erik Börjesson, they would again take the title in 1910. It was in this season that the club first sported their iconic blue and white stripes, a feature that continues to this day. They would add silverware to their collection by going on to win another title in 1918. The foundations, then, were laid early for IFK, although they had to wait until the 1934/35 season for their next title, in the newly formed national league that still exists to this day, known as Allsvenskan. Despite this gap in domestic success, the club continued its pioneering spirit by breaking the mould on a number of occasions. Club legend Filip Johansson became the first leading scorer of Allsvenskan in its inaugural season in 1925 with an incredible 39 goals in 22 matches, a record that still stands to this day. They also became the first Swedish team to travel abroad, playing exhibition matches in Spain in 1924 and making the long trip to North America in 1949. It was in the 1940s that IFK played their part in ushering forth one of the golden ages of Swedish football, a period that would begin with an Olympic Gold medal in 1948 and culminate with a second place finish as hosts of the World Cup a decade later. The part they played was in the fostering of one of Sweden’s greatest football players to this date, Gunnar Gren. Gren, a native of Gothenburg, grew up in the inner suburb of Majorna, a stone’s throw from where IFK’s were founded. Although beginning his career at fellow Gothenburg side Gårda BK, he was later picked up by IFK and would go on to play over 160 times for the Blue-Whites, racking up 79 goals in the process. Gren was part of the title-winning team of the 1941/42 season and would lift Sweden’s first Golden Ball in 1946. 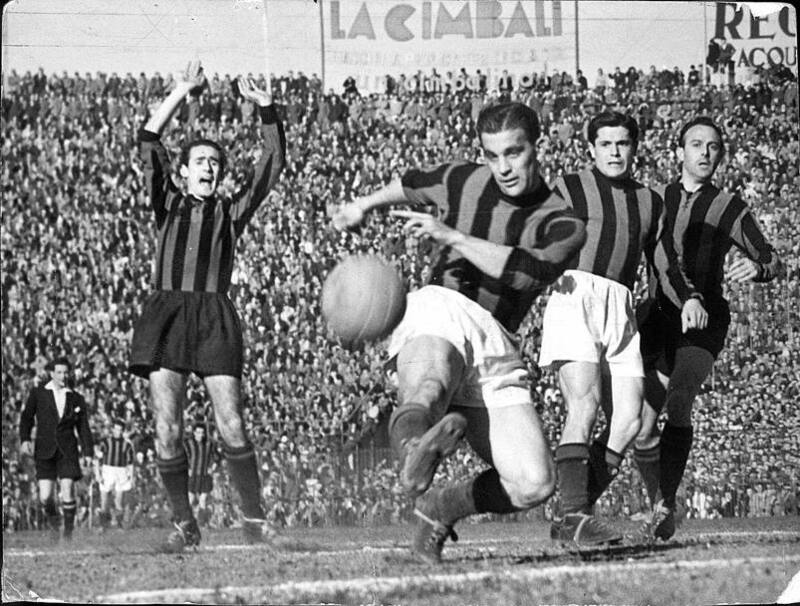 He would later move on to Serie A giants AC Milan, where he and his fellow compatriots Gunnar Nordahl and Nils Liedholm would be the sum parts of the Gre-No-Li trio that performed so well for both club and country. Intermittent titles would follow, including a 1958 Allsvenskan in the newly built Nya Ullevi, just after Sweden’s hosting of the World Cup. Sweden lost out at the final stage to Pelé’s Brazil, but it was to be over 1969 and 1970, as well as the immediate years thereafter, that would become a crucial moment for IFK Gothenburg. IFK again lifted the Swedish title at the end of the 1969 season only to suffer the disaster of relegation to Sweden’s second tier just a year later. In an incredible and stupefying turn of fortunes, they spent the mid-70s in the wilderness, only managing promotion to the top flight some years later. The hardships of the 1970s would go on to reap unexpected rewards. No longer able to afford, attract or compete with Sweden’s top clubs for the top Swedish talents, IFK sunk their depleted funds into their academy and grass-roots recruitment. It was during these years that the likes of twins Conny and Jerry Karlsson, as well as Glenn Hysén and Glenn Strömberg, all made the step up from the lower divisions to the big time. This series of great scouting successes were to be the backbone of something even greater. However, it wasn’t until the arrival of another key figure that the dream could come to fruition. 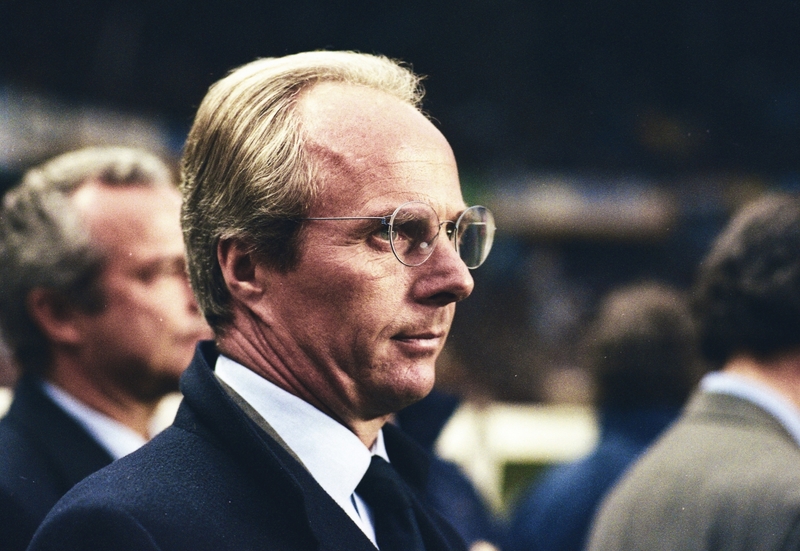 Enter Sven-Göran Eriksson. Installed as the new coach, Eriksson arrived from newly-promoted Second Division side Degerfors for the beginning of the 1979 season and success was immediate. A second-place finish in Allsvenskan and the club’s first Swedish Cup success came swiftly. The first whisperings of success would be a string of Swedish Cup victories, repeated again in 1982 and 1983. It would turn the team into a ferocious and unforgiving knockout opponent. 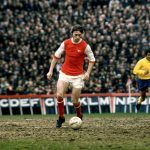 Swedish Cup success would lead them into Europe where they first found their feet in the Cup Winners’ Cup of 1979/80, enjoying a solid run, only to lose out to Arsenal in the quarter-finals. The club was standing on the precipice of the greatest triumph in its history. Little did they know that a second-place finish in the Allsvenskan campaign of 1980 would usher them on a startling run in UEFA Cup of 1981/82, turning into European success. In the first round, IFK managed to dispatch Finnish minnows FC Haka 7-2 on aggregate, but a tougher test followed with Austrians Sturm Graz in the second round. A tight 2-2 draw in Austria had to be taken back to Gothenburg. Striker Torbjörn Nilsson was to be the difference over the two ties, netting two in the first match and one in the second leg. It was a defining match for the Swedish striker, and just one of the reasons why they still sing his name on the terraces at Ullevi. They would see off Dinamo Bucharest more convincingly in the next round, to be drawn against more experienced and prestigious sides in Valencia and Kaiserslautern. Two difficult draws away would give way to better performances in front of a home crowd in Sweden, with IFK seeing off both their opponents, although it took extra time to separate them from the West Germans in the semi-finals. The stage was set for the final, and once again IFK would face West German opposition in the form of Hamburg. The Swedes struggled to make the difference at home in a 1-0 win, but destroyed their opponents 3-0 in the second leg away tie to become winners 4-0 on aggregate. It was a standout success for a Scandinavian side with considerably fewer resources than their opponents. Nilsson was to be the decisive player, bagging eight goals and becoming top scorer of the competition. That first UEFA Cup win was to be more than just a memorable addition to their trophy cabinet. It allowed the club to straighten out its finances. 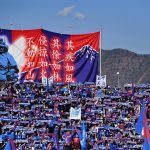 The situation was so dire that the chairman had to take out additional sponsorship deals just so the team could travel to Valencia for their quarter-final away leg. It enabled the club to build and enjoy its first period of sustained success in its history. It also gave birth to the legend of “Glenn”. During the 1980s, IFK’s starting line-up included no less than four Glenns – Hysén, Strömberg, Schiller and Holm. To this day, the blue and white section of Gothenburg still sings, “Everyone is called Glenn in Gothenburg”, demonstrating how pivotal this period was not just in the club’s but in the city’s history. It’s now woven into their folklore. Eriksson eventually departed for Benfica, but manager Björn Westerberg would take them to league titles in 1983 and 1984. The team went on to qualify for the European Cup in 1984, only to be convincingly beaten by a Roma side that would finish runners-up that year. But it was in Europe that the team was to show what they were truly made of. Now with some guile and experience under their belt, they could really stretch their legs. They went on an impressive European Cup run in 1986 that saw them get the better of the likes of Fenerbahçe and Aberdeen, only to set up a semi-final tie against the mighty Barcelona, eventually losing out at the Camp Nou on penalties. They were to bounce back from the disappointment of defeat under Gunder Bengtsson’s second spell as manager as the club would triumph in Europe once more to claim a second UEFA Cup title in 1987. Although this was to signal the end of an era, with the departure of key players like Glenn Hysén to Fiorentina. It was the end of the 80s, but it wasn’t the end altogether. IFK Gothenburg would consolidate and rebuild to become more dominant than ever in the 1990s, captivating a new generation of fans and upcoming players alike. They were simply light years ahead of their domestic opponents, storming to Allsvenskan success in 1990, 1991, 1993, 1994, 1995 and 1997. 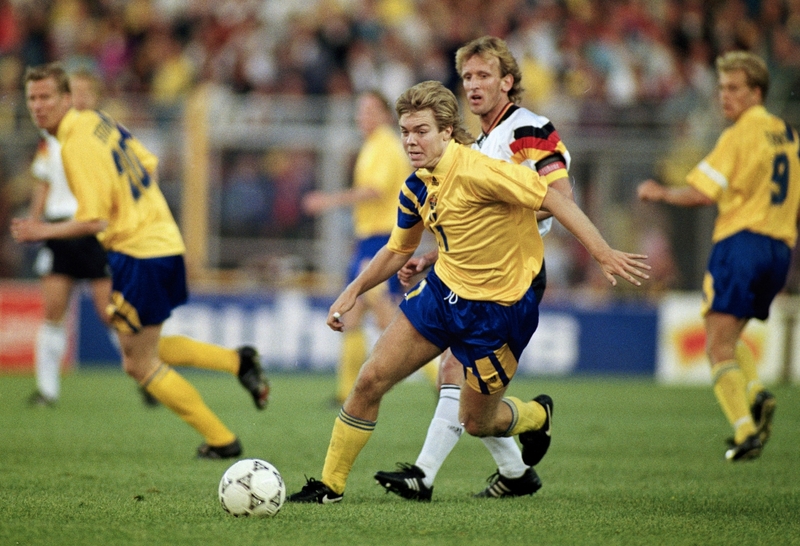 Their players formed the backbone of the Swedish national side, with seven players from IFK participating in the bronze medal-winning side at the 1994 World Cup in the USA. Players like Jesper Blomqvist and Pontus Kåmark followed in the footsteps of Kennet Andersson to enjoy successful careers abroad. This IFK team would also go on to emulate their predecessors, not with absolute European success, but with impressive campaigns that took them to the semi-finals of the Champions League in the 1992/93 season, as well as a quarter-final finish in the 1994/95 season. This second run famously saw them finish ahead of Barcelona and Manchester United at the group stage, knocking out the latter in the process. IFK forwards Johnny Ekström and Magnus Erlingmark both featured in the top goalscorer rankings in one of each of the campaigns. These standout successes were followed by a largely barren decade. The last hurrah came in 2007 when the final generation of truly great IFK academy players won the club its last Allsvenskan title, with a Swedish Cup win following a year later. Despite the team winning two cups since then and registering a couple of close calls in the championship race, it’s a far cry from the successes of the 80s and 90s. It’s true that no Swedish football fan expects victories in Europe anymore, with the league simply unable to compete financially with teams from the major leagues. That’s why under the eight-year stewardship of former sporting director Håkan Mild, the club could proudly boast of selling its best talent for a tidy sum of 170 million Swedish kronor, the equivalent of about £14m. This should be considered a substantial achievement considering the best of Sweden’s talent is always poised to leave Swedish shores, with that money always looking to be reinvested back into the club. Since Mild left his post in 2014 and with the appointment of his successor Mats Gren, it’s been a considerably different affair for the blue and white side of Gothenburg. A series of what could only be chalked up as transfer disasters have seen key team players like Gustav Engvall, Søren Rieks, Mads Albæk and Jakob Ankersen walk out of the door for next to no money. Adding insult to injury, the club has since had to embarrassingly sell its famed Kamratgården training complex, only to rent it back. On top of that, sporting director Gren sacked two more than competent managers in the form of Mikael Stahre and Jörgen Lennartsson, only to appoint a coach who has little managerial experience. Current boss Poya Asbaghi arrived at the beginning of the 2017/18 season with the promises of modern and progressive football. Patience was pleaded from the fans. Since then the results have slipped even further, and IFK have slumped from a second-place finish when Gren took over in 2014 to 11th at the end of the 2017/18 season. Now Gren has gone as sporting director and IFK have installed Jonas Olsson in a temporary position, seemingly backing Asbaghi despite the inexperienced coach looking lost for much of his tenure. It’s unlikely that IFK Gothenburg will ever grace the heights they once did, or that any Swedish team will for that matter. But it just goes to show how quickly a once great institution can fall from grace. IFK are looking at a serious revamp over the winter break and hope for more stability next season. Although contention for the championship should never be ruled out it’s highly unlikely. To follow IFK Gothenburg’s fortunes and for Allsvenskan betting tips next season in English, make sure to visit BetBlazers.com.